Home security cameras work well when they are in good working order. However, if your security camera is not working properly, you can find a security camera repair center in Fort Lauderdale. There are a variety of reasons why your security camera may not be functioning properly. The problem can be in the digital video recorder, camera or other devices that are used with the camera. 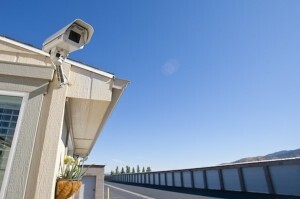 A security camera repair center will troubleshoot your security system to find the problem. The first step is to figure out if the security camera system is still under warranty. If the camera is not under warranty, you will have to pay for the repairs. Call several home security companies and ask about costs and the approximate repair time needed. Home security cameras are an important part of a security plan. It is important to have other security methods in place to work with your security cameras. There are many things you can do to improve the security in and around your home. 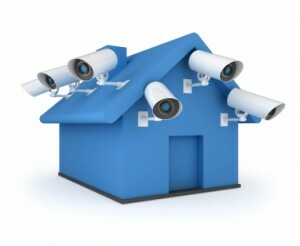 The area outside of your home should be monitored with home surveillance equipment. There are a number of home security camera manufacturers that offer good security systems. Develop a security plan that uses a number of security practices to increase the level of your home’s security. Walk through the area surrounding your home that you want to monitor. Determine how many security cameras you will need. If you need help figuring this out, you can call a home security company for advice. Motion detecting lights are a great idea because they will light up if they sense movement in your yard at night. These lights are inexpensive and add an additional layer of security to your home. You can also purchase driveway alarms, door and window sensors and a multitude of other security gadgets. The idea is to combine several layers of security to increase the level of home security. Plants and bushes near windows should be maintained to prevent a hiding place for a potential burglar. The entry doors into your home should be made from high-quality materials. Add deadbolts and the best locks you can afford. Install security sensors in your home’s windows and doors. Security sensors will sound an audible alarm should a potential burglar try to invade your home through the doors or windows. Video door phones allow you to view whomever is at your door. Some models feature infrared technology that allows you to see even during complete darkness. You will also find models that feature two-way communications. These video door phones make seeing your visitor much easier than looking through a peep hole. If you apply window film to your home’s windows, you will be adding an extra layer of security. Window film is designed to hold the glass to prevent windows from shattering. This can also deter a potential burglar from entering your home through the windows. Technology advances have entered the home security industry. You can buy fingerprint door locks that utilizes biometrics to recognize unique fingerprints. When the lock verifies the fingerprint, then the door can be locked or unlocked. This is relatively new technology but adds another layer of security to your home. Electronic deadbolt locks are extremely popular with homeowners. You will find electronic deadbolt locks that use keys or keypads to lock or unlock a door. They use a computer chip and a combination of audio and video signals to work. This technology is helpful because it also features rolling code technology. You will find various types of electronic deadbolt locks at your home security retail store. If you live in an apartment or condo, there are some steps you can take to increase your security risk. Apartments are at risk for burglary because people often do not know their neighbors. This means the residents are usually not aware of who does and doesn’t live in the apartments. This makes it easy for a potential burglar to stake out an apartment. Let the management know if you see any broken exterior lights. The apartment or condo building should be well-lit at night. If you have sliding glass doors, you should place a sturdy bar inside the track to prevent a burglar from opening the door. Don’t open your door to anyone before identifying the visitor. Keep your expensive electronics away from open windows that make it easy for potential burglars to see your belongings. When you purchase a new big-screen television, do not throw the box away where everyone can see it. Break the box down and hide it inside a trash bag that is not transparent. Burglars usually drive around a neighborhood looking for signs of expensive electronics. These items can quickly be sold for cash. Electronics, cash and jewelry are the main items that a potential burglar wants to steal. Go through your home and take inventory of your belongings. Be sure that valuables such as jewelry are hidden out of sight. If you have guns, they should be kept in a locked gun cabinet. With the price of gold still rising, potential thieves are looking for any kind of jewelry. If you have jewelry that you don’t wear but want to keep, you should place it in a sturdy safe or safe deposit box. The master bedroom is where most people keep their jewelry. This is the first place a potential burglar will look. Identify any weak points you find in your home. The best way to protect your home is to think like a burglar. Look at your home and study the entry points. Reinforce windows and doors with high-quality locks. When you go on vacation, there are a number of security steps you should take. Turn down the ringer and answering machine on your phone. You can find electronic timers that will make your home look like someone is at home. You could also hire a sitter to watch your home while you are gone. If you know your neighbors, you can also ask them to watch your home. Newspaper and mail delivery should be temporarily suspended until you return. Find out if your local law enforcement office will drive by your home while you are away. Double-check all the doors and windows in your home to be sure they are secure. If you have a home security alarm system that is being monitored by a professional company, notify them about your vacation plans. Home security alarms should be double-checked to make sure they are working properly. You can also leave a spare key to your home with a trusted neighbor. There are home video surveillance cameras that allow you to monitor your home while you are away. This can give you peace of mind and help you to relax and enjoy your vacation time. You can even monitor your home from a smartphone or other electronic device that has an Internet connection. Be sure your home has home security monitoring signs on the windows and doors. You can purchase these on the Internet, even if you don’t have your system monitored by a professional security company. You should keep the outside of your home well-lit at night. You can purchase solar lights that are inexpensive yet give off a significant amount of light. These lights can also make your home more attractive. Solar lights can be found at any hardware or large retail store. Make sure your trees are cut back around your home. If you have large trees and bushes, these can be a great hiding place for potential burglars. You can plant thorny bushes near windows and doors to prevent a great hiding place for a burglar. Don’t hide a spare key anywhere near your home. Instead, leave a spare key with a trusted neighbor or friend. If you live in a gated community, it does not necessarily mean you can let your guard down. You must remember that other people will have access to the gates such as friends, family members and workers. Gates do cut down the amount of foot traffic found inside these communities, but you must still take security precautions. Join your neighborhood crime watch organization and be an active member. These organizations go a long way in crime prevention. They work because the community is alert to who should be in the community and who might be considered suspicious. They often have meetings with local law enforcement to stay informed about the neighborhood crime statistics. If you or your neighbors suspect suspicious activity, you should call the police. Most potential burglars will stake out a neighborhood before they choose a home to vandalize. They can also disguise themselves as maintenance workers, repairmen and other workers. Communication between your close neighbors will ensure that visitors have a legitimate reason to be in the neighborhood. Improving the security of your home should not be an expensive undertaking. Adding a home security surveillance system, with a few additional security steps, will improve the safety and security of your home and family.